Your fire alarm and detection control panel is the “brain” of your firefighting system. Simply put, it will alert you as soon as a situation arises so that you can act quickly and prevent a major catastrophe. The panel’s main function is to take input from fire and life[BJ1] system devices located throughout your property and raise the alarm whenever when there is danger occurs. Maximum protection and effectiveness come from choosing the right fire fighting system and installing it in the most suitable location for your property. 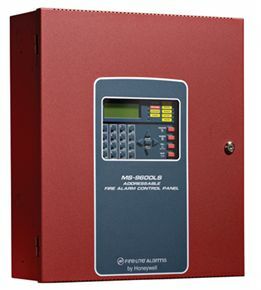 Albilad Fire Fighting Systems Company Limited is a market leader in the Middle East and collaborates with American fire alarm manufacturers, such as HONEYWELL, NOTIFIER / UTC, and EDWARDS, all of which are known for their state-of-the-art technology. Since most of our fire protection systems are assembled at our modern facilities in Dammam and Yanbu, Saudi Arabia, we offer customized, local solutions and a quick turnaround, providing you with the highest quality fire alarms and gas detection systems available anywhere in the world. Being able to pinpoint exactly where the problem has arisen facilitates quick intervention, saving lives and minimizing property damage. We offer a range of fire alarm solutions suitable for your property as well as for your budget. Whether you opt for standard or custom-built equipment, you can rely on firefighting systems from the company that has been protecting life and property from fire around-the-clock for many years. Albilad Fire Fighting Systems Company Limited offers reliability and safety. Place an order with Albilad for standard or custom-built fire alarms and gas detection systems in Saudi Arabia/Middle East. Fire alarms and gas detection systems from Albilad are simple, reliable, and smart. Flexible solutions allow you to have the fire protection you want at a comfortable cost. Whether you wish to protect a commercial or a residential building, our control panel solutions can be tailored to suit even the largest and most complex requirements. That we are licensed by NOTIFIER / EDWARDS (USA) to assemble a wide range of fire detection and alarm panels in Saudi Arabia adds to our reliability and your peace of mind. These assemblies are produced following the most stringent quality control requirements and are UL (Underwriters Laboratories) listed. 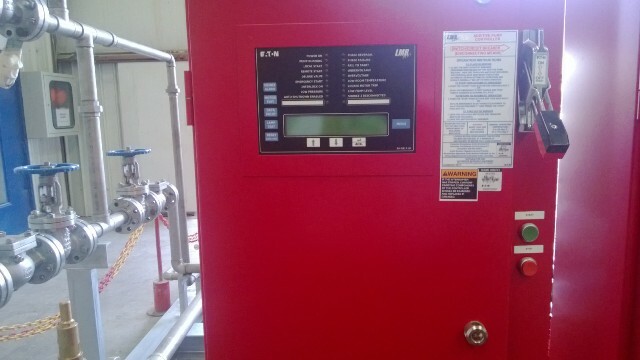 Fire control panels we offer. 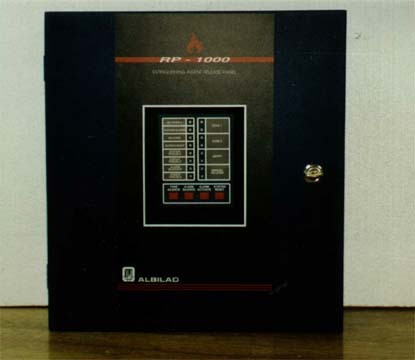 Fire alarm panels assembled by Albilad Fire Fighting Systems Company Limited are cross listed by the original manufacturer to carry the UL (Underwriters Laboratories) mark when labeled by us.